Brad and Elliot Mason hail from Norwich, England, a quiet city 100 miles north of London. Their father, Barry Mason, a trumpet/trombone player and teacher, and their mother, Christine Vance, a jazz vocalist, introduced the young brothers early on to such greats as Dizzy Gillespie, Frank Rosolino, Duke Ellington, Miles Davis and John Coltrane. While only in their teens, Brad and Elliot became highly skilled in jazz improvisation and they were soon renowned for their maturity and musicality. Alone, each musician is outstanding, but together, the brothers’ almost psychic connection creates improvisational magic. Today, based in New York, they are taking their unique contemporary sound beyond the boundaries of improvisation and composition to heights both dramatic and inspirational. Brad Mason (trumpet) was born in England. When only 5 years old, he began trumpet lessons with his father, Barry. At 9, he began piano lessons and played both instruments at school and outside recitals. By 14, he was performing three to four times a week in dance halls, theaters, clubs, and pubs. Though his repertoire included a variety of musical styles, the young musician was drawn early to jazz and improvisation. At age 17, Brad won the national Daily Telegraph Young Jazz Soloist Award and was a featured performer at John Dankworth’s Wavendon Jazz School. In January 2007, Mason joined the John Mayer Band for a 2 1/2 year stint of recording and touring world wide. Soon after this in 2011 Brad became a faculty member at NorthWestern University in Chicago as their Jazz Trumpet Professor. He started working with Diana Ross as her lead trumpet in the summer of 2013 and then joined Blood Sweat & Tears as a full time member in June 2015. He is currently their MD (Musical Director) and can be seen touring with them world wide. 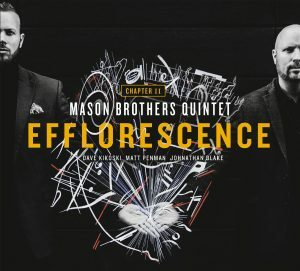 While freelancing & teaching in New York & Chicago, Mason continues to co-lead the Mason Brothers Quintet with his brother, Elliot. Mason’s recent career includes performances with Melissa Etheridge, Diana Ross, Blood Sweat & Tears, the Christian McBride Big Band, the Bernie Williams Band, John Mayer, Eric Clapton, Buddy Guy, Jessica Simpson, Alicia Keys, Natalie Cole, Caro Emerald, Willie Nelson, Mike Stern, John Scofield, Gary Burton, Randy Brecker, Mingus Big Band, Chico O’Farrel’s Latin Jazz Band, Joe Zawinul, Gary Husband, Lionel Loueke, Antonio Sanchez, Lionel Hampton, Bill Pierce, Hiram Bullock, Claudio Roditi, Dave Liebman, Ronny Jordan, Abe Laboriel, and Lenny White. 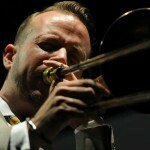 Elliot Mason (Trombone), born in England. He began trumpet lessons with his father at age four. At age seven, struck with an overwhelming curiosity in his father’s trombone, young Mason soon switched his focus from the trumpet. As an eleven-year-old, Mr. Mason was already performing as a trombonist in dance halls, theaters, clubs, and pubs, covering all styles of music but concentrating primarily on jazz and improvisation. At fifteen, he won the national Daily Telegraph Young Jazz Soloist (under 25) Award and was featured at John Dankworth’s Wavendon Jazz School. Entering alternate age categories the next year, Elliot and his brother Brad, as the Mason brothers, won the national competition a second time and by age sixteen, Mr. Mason left England to join his brother at the Berklee College of Music in Massachusetts on a full tuition scholarship where he met and studied with Hal Crook and Phil Wilson, among others. In 1994, Mr. Mason won the prestigious Frank Rosolino Award for outstanding trombone performance abilities, and was invited to perform at the International Trombone Workshop. At eighteen, he won the ITW ‘s Under 29 Jazz Trombone competition, as well as the Slide Hampton Award in recognition of outstanding performance abilities from Berklee. 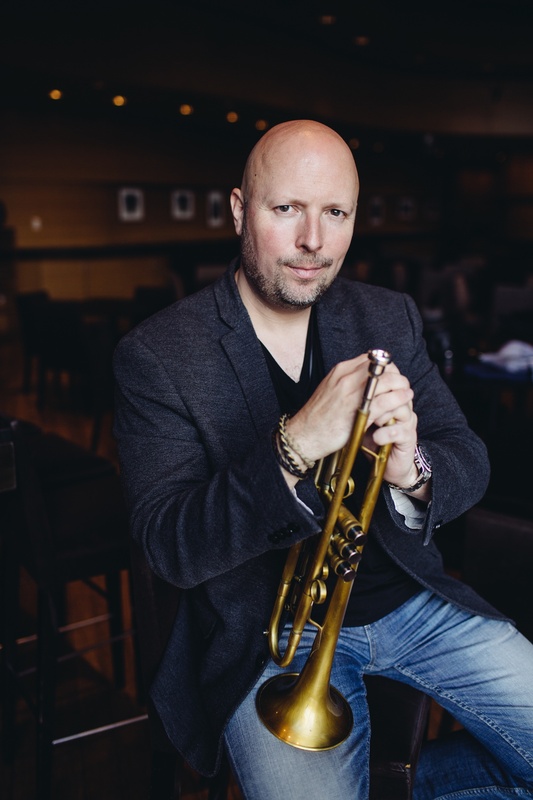 After graduating from Berklee in 1996, Mr. Mason moved to New York City, where he distinguished himself as a respected and highly in demand trombone and bass trumpet player. In 2007, Elliot Mason was invited to become a member of the Jazz at Lincoln Center Orchestra, directed by Wynton Marsalis. While continuing to perform with the JLCO, Mr. Mason co-leads the Mason Brothers Quintet with his brother Brad. 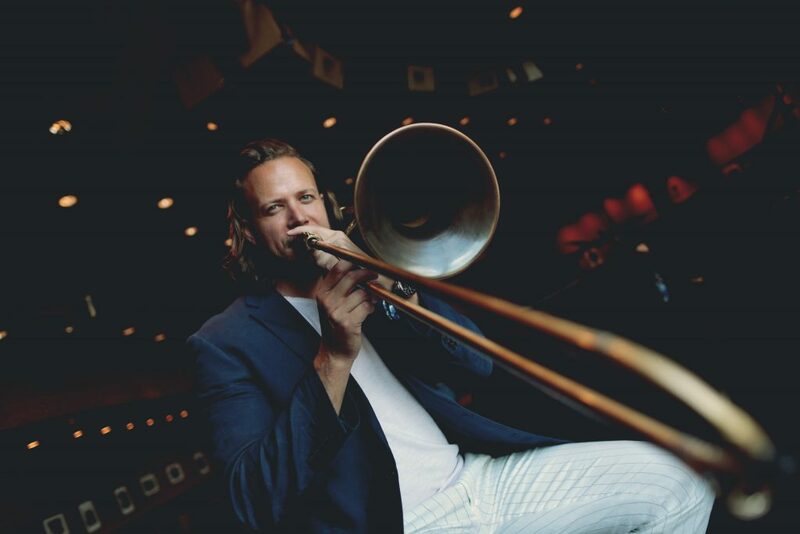 Mr. Mason joined Northwestern University’s faculty, in 2008, as their jazz trombone instructor/lecturer; he continues to be an integral part of Northwestern’s Jazz Studies Program. In 2011, Mr. Mason was asked to join NYU’s faculty as a jazz trombone instructor within their extensive Jazz Studies Program. Mr. Mason has served as a worldwide clinician, performing workshops and master classes, with the JLCO, the Mason Brothers Quintet, Northwestern University, NYU, the Randy Brecker Quintet, the Victor Goines Quintet and B.A.C. Trombones. Mr. Mason is endorsed by B.A.C. musical instruments, he is currently playing on his own signature series line of custom trombones. Elliot Mason’s career includes performances with the Count Basie Orchestra, Mingus Big Band, Maria Schneider Orchestra, Maynard Ferguson Big Bop Nouveau, Toshiko Akiyoshi Orchestra. Mr. Mason has also performed with Paul Simon, Willie Nelson, Crosby, Stills and Nash, Natalie Cole, Queen Latifah, Jessica Simpson, Shirley Bassey, Wynton Marsalis, Branford Marsalis, Chick Corea, Kenny Garrett, Bobby Hutcherson, Ahmad Jamal, Chucho Valdes, Chano Dominquez, Randy Brecker, Carl Fontana, Bill Watrous, Joe Lovano, Dave Liebman, Chris Potter, Joe Zawinul, Mike Stern, Hiram Bullock, Airto Moreira, Marcus Roberts, Matt Garrison, Antonio Sanchez, Scott Colley, Joe Locke, Dave Kikoski. My dads cousin loves just and has just moved to Norwich and my in-laws Sheila and John Greenslade (in Norwich) told me and him about you. Perhaps when you are next playing in Norwich my dad’s cousin can come and see you perform as so far he is not impressed with the Jazz scene in Norwich! Hey Sarah, we’ll definitely keep the site updated with any upcoming dates we have in the UK, we might be back in Norwich in Dec. The Norwich Jazz Club does have some good diverse guests come through, your dad can check their website for more info. Dear Elliot. Just to let you know you absolutely blew my 12 year olds’s mind with your ensemble and solo playing at the Cambridge Corn Exchange on Saturday night. He is just getting into jazz and you redefined for him what you could do with a trombone. Thanks! Thank you Nigel for reaching out. That was a very special gig for me, we were playing in my fathers hometown and both my parents were there. I’m so glad your son enjoyed the concert, it’s comments like these that always inspire me, thank you.